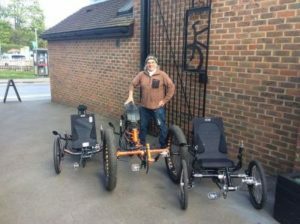 We have been Ice Trike Dealers now for several years and have built up a broad base of knowledge and experience with them. They are fantastic products built in Falmouth Cornwall, and are becoming increasingly popular both with the able bodied and the disabled. We have 5 demo models for you to try, including, a Full Fat, HD Adventure, Sprint and 2 Steps Electric Adventure. You can just pop in, but it is best to give us a call, so we can ensure we are all set up, ready for you. 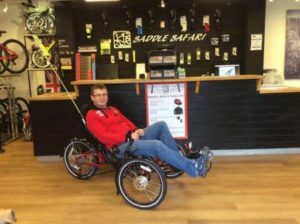 We have a park across the road from where we are which we can you to if you want a short ride and we can answer any day to day questions you may have about owning a trike. If you want a longer ride, we have a nice route from the shop that is around 4 miles , or you can take it out on your own for as long as you like. If you want it take it out all day there is a hire charge which gets refunded if you place an order. 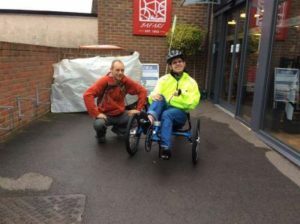 In general Ice trikes are ordered to your specification. We can sit with you and construct a configuration which you can consider or simply order. 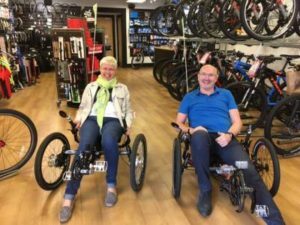 Our workshop constructs the trike for you when it comes into us and we will then spend time with you to ensure your try is set up just for you. Probably half of all the trikes we sell are to those with a disability. 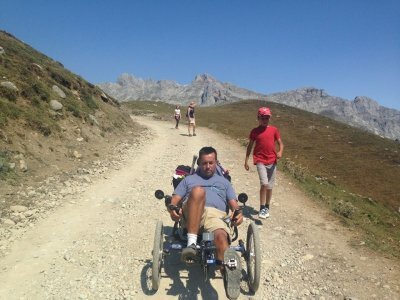 Andy our shop owner became disabled in 2012 due to a neurological illness, and purchased one for his own use later that year. 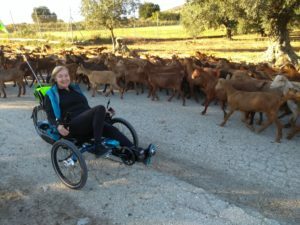 We then became dealers for Ice Trikes and really enjoy seeing how a trike can improve the quality of life for those who are unable to ride a conventional bicycle. 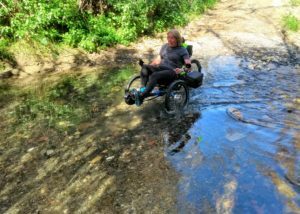 Customers with a disability are often pleasantly surprised how well they can ride an electrically assisted trike. 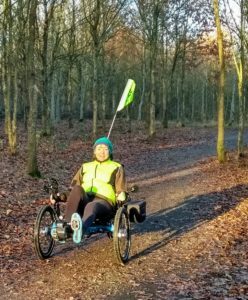 We have dozens of customers now whose lives have been transformed by the freedom that a trike can bring. 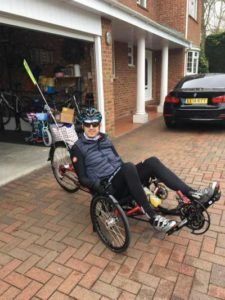 If you would like to try one, Andy or another member of staff will be happy to take you out on a test ride and have an informal chat, to answer any questions that you may have. Just some of the people who have discovered the joy of riding an Ice Trike with us.